4. Quick Dry and Breathable. 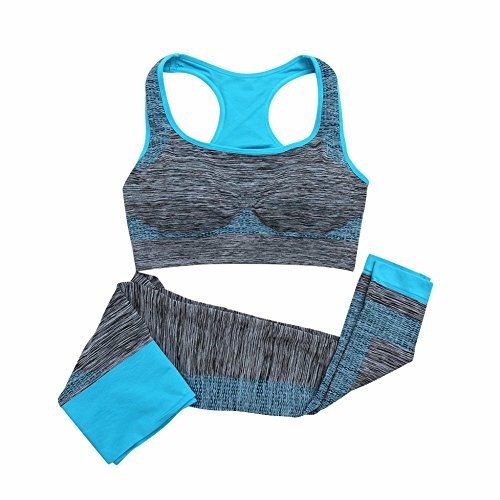 Women's Outdoor Sports Gym Running Yoga 2-piece Set (Leggings & Bra Set) Durable ,Anti Deformation. 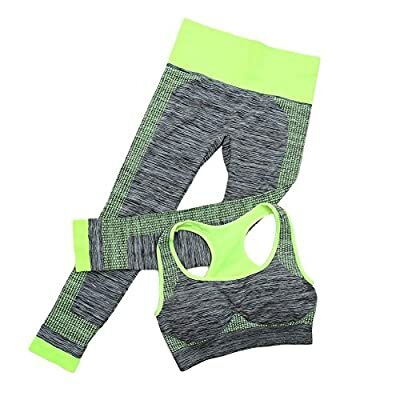 Padded Design -- Perfect Body Shape.Wireless , Stretch and High Quality Material -- Very Comfort To Wear. Quick Dry and Breathable. Sports:Cycling/Camping/Outdoor/Running/Jogging/Fitness/Workout/Yoga Material: Spandex + Nylon.Colors: Purple/Blue/Rose Red/Green Asian Size is smaller than US/Europe Size,Recommended to buy bigger size! Thanks!.